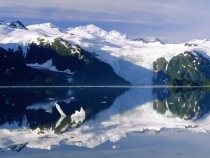 ANCHORAGE, AK: The state of Alaska has re-signed long-time incumbent Thompson & Co. to provide tourism PR services. The firm has handled the account for more than a decade. A new budget is still being determined, according to a procurement officer for the state. The account budget could be as high as $6 million, including all renewal options. Despite its status as the state's long-time partner, the firm was on pins and needles as it waited for a response because this search process differed from previous ones, said Jennifer Thompson, president and CEO of Thompson & Co. Previously, the Alaska Travel Industry Association oversaw the PR agency search, but this time it was managed by Alaska's Department of Commerce, Community, and Economic Development. The RFP also drew national attention from agencies due in part to its higher budget, said Thompson. The state pushed its decision on the contract from January to May before selecting Alaska-based Thompson & Co. Ultimately, Thompson's firm beat out shops such as Weber Shandwick, Allison+Partners, and the Thomas Collective, according to state documents. “This is where we live and what we believe in; we feel like we were the best choice,” Thompson said. The contract runs from July 1 to June 30, 2013, with the state maintaining the option to renew it for four additional years. Last month, California re-upped with its incumbent Development Counsellors International to promote the state.